What's New in MacVector 15? There are two main new features in MacVector 15, both targeted at users with an interest in proteins. 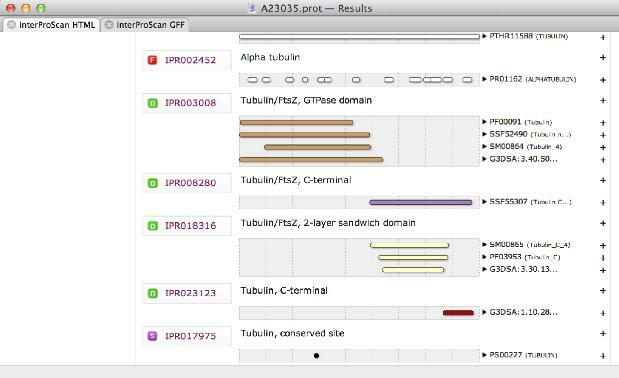 First, MacVector can now connect to the online InterProScan database to help you identify functional domains in your protein. 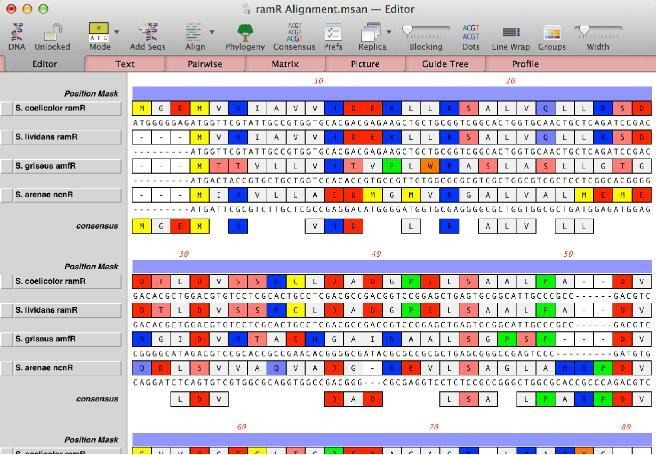 Second, the multiple sequence alignment interface has been completely rewritten to let you align DNA sequences via their amino acid translations and also to let you define a reference sequence when aligning proteins. As always, there are a multitude of minor enhancements and bug fixes designed to improve your everyday experience using MacVector. You can view the release notes here. You can make any match a permanent annotation of your starting protein sequence by simply clicking on the "+" icon next to the entry. 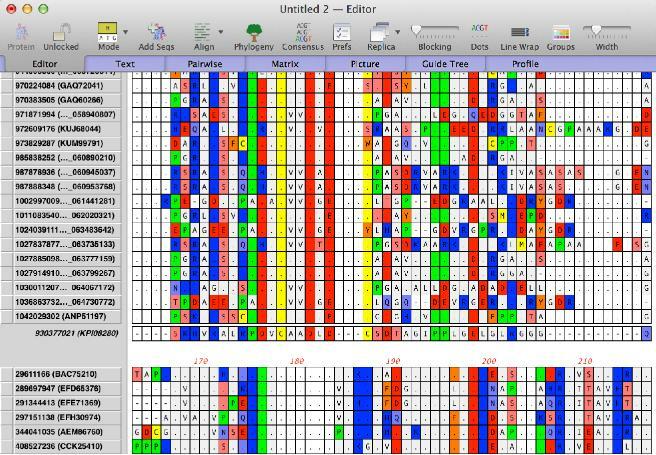 The Multiple Sequence Alignment window has had a number of enhancements. Most are accessed through a new "Mode" button on the Editor tab toolbar. NA - this mode is exactly the same as earlier versions - all of the display, editing and alignment tools use the nucleic acid sequences, just as you would expect. virtualAA - this mode translates the NA sequences (using the currently selected Genetic Code) and displays the translations just as if this was a protein alignment. DNA is always translated starting at the first residue. If you run an alignment algorithm while this mode is selected, the alignment will use the amino acid sequences to align the sequences. You can always toggle the mode back to NA to view the nucleic acid sequences after the alignments. In this mode you have minimal editing capabilities - you can "slide" amino acids and delete them, but most functions are disabled because there are NA sequences that underlie the amino acids, so changing/adding amino acids would lead to ambiguous nucleic acid residues.